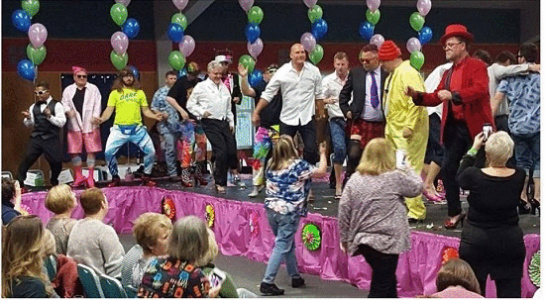 On Wednesday, the Adorni Center in Eureka hosts another edition of Soroptimist International Humboldt Bay's annual High Heels for Healing fundraiser, where "prominent men of the community stroll/wobble on stage in support of women and their experiences." Details on that and more in your Wednesday Lowdown below. "Based on the saying, you can't really understand another person's experience until you have walked in their shoes, this is a belly laugh event where prominent men of the community stroll/wobble on stage in support of women and their experiences." "A group of aliens from another planet head for Earth with the intentions of conquering it." Originated in San Francisco in the early 1980s as part of the emerging musical form that would come to be known as Deathrock.